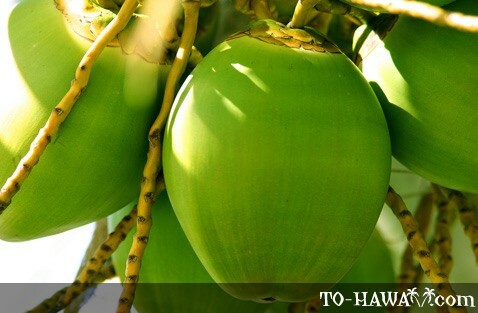 Before the arrival of Polynesian voyagers in Hawaii between 300-500 AD, few edible plants existed in the Islands. It is believed that these first settlers brought around 30 plants with them. 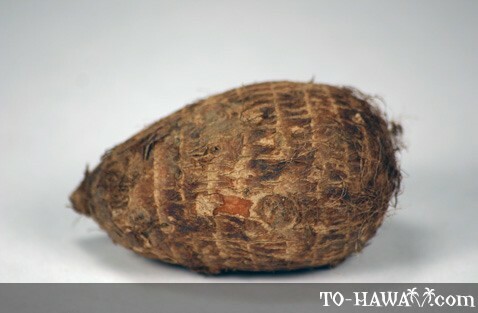 The most important one was taro, of which a paste called poi was made. Later settlers from the Marquesas and Tahiti brought breadfruit and baking banana, as well as coconuts, sugarcane, sweet potatoes and yams. They also brought chicken, pigs and dogs with them since there weren't any meat animals on these remote islands. What they found plenty in the new land was fish. Meat was prepared by spitting it on sticks and roasting it over a fire, or cooking it in underground ovens, called imu. To build an imu, a pit was dug into the ground and lined with rocks. Then a fire was built and when the rocks were hot, the foods (such as meats, fish, taro, breadfruit, sweet potatoes and other vegetables) were wrapped in banana, ginger or ti leaves and placed into the pit. The food was then covered with wet leaves and a layer of earth. The cooking was done by the men only. Also, the food for women was cooked in a separate imu, and men and women ate their meals separately. 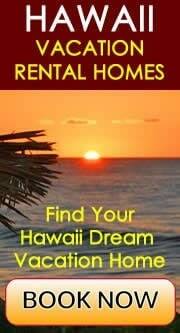 Sea salt was the most common seasoning in ancient Hawaii. 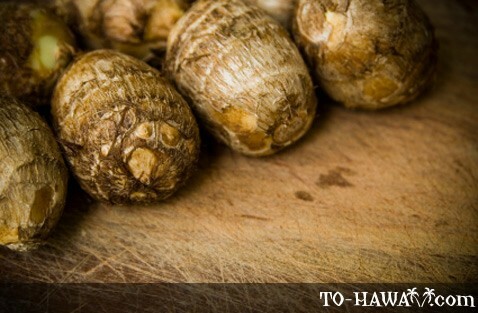 It was often mixed together with roasted and mashed kukui nuts and seaweed and was called inamona. Whenever there was an important occasion, a special feast, called ‘aha‘aina was held. 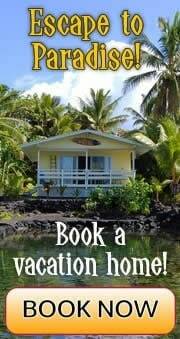 Today, people call it lū‘au. But this name was actually not used for such feasts until 1856. 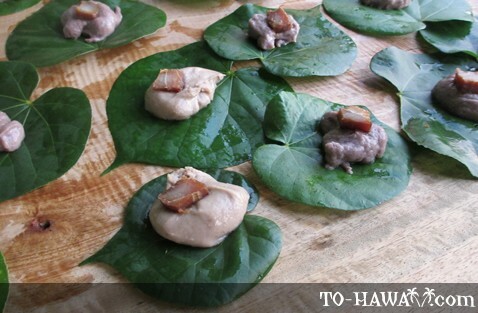 The word lū‘au comes from the name of the food that was always served at an ‘aha‘aina, which was baked young taro tops with coconut milk and chicken or octopus. 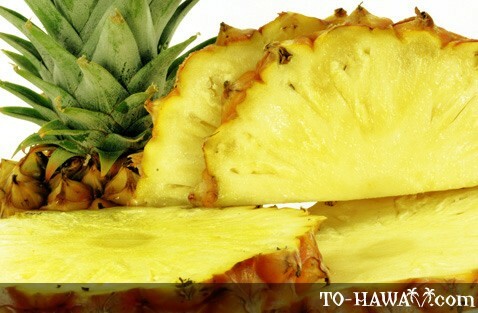 The first pineapple was cultivated in Honolulu by Don Francisco de Paula Marin, a Spanish botanist, in 1813. Two years later he also planted the first Hawaiian vineyard (he planted the now rare Mission grape variety). Later, Marin also planted the first coffee crop, but his plantings failed. By the end of this century, pineapple and sugarcane were Hawaii's most important crops. 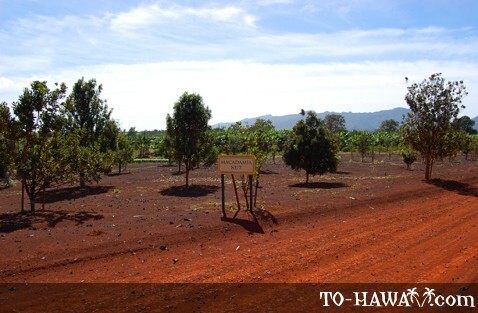 There were many large plantations owned and run by American settlers, the most prominent one being James Dole, also known as the “Pineapple King.” Dole planted pineapples on Oahu in 1901, and in 1922 he purchased the entire island of Lanai to grow pineapples there. As the sugar and pineapple plantations grew, so did the demand for labor, so the plantation owners hired immigrant workers from China, Japan, Korea, the Philippines, Portugal and Puerto Rico. These immigrants brought their own food culture with them, and new grocery markets were established in the Islands. The Chinese, for example, introduced dim sum dishes and sweet and sour flavors. Koreans brought kimchi and cooked marinated meats with sweet garlic sauce. The Japanese introduced bento and sashimi, tofu and soy sauce. The Portuguese, who mainly came from the Azores Islands, brought pork, tomatoes and chili peppers and baked the Portuguese sweet bread and malasadas. Puerto Rican immigrants contributed spicy soups, pasteles and casseroles. 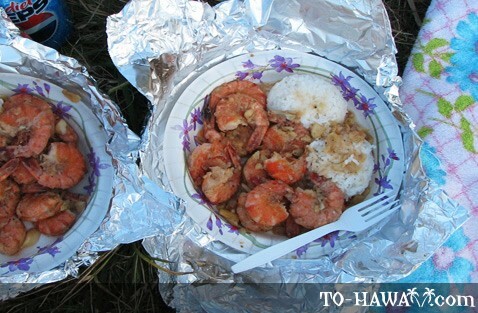 Filipinos brought beans and peas and introduced vinegar and garlic dishes. After the end of the Vietnam War in 1975, immigrants from Southeast Asia brought fish sauce, lemongrass and galangal, ingredients that are popular in the Thai and Vietnamese cuisine. 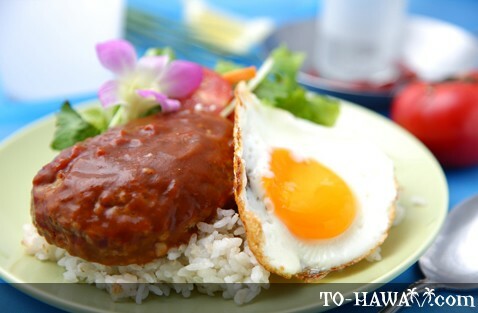 Today, many local restaurants and roadside food stands serve the ubiquitous plate lunch (also called loco moco), featuring the Asian staple, two scoops or rice, American macaroni salad, topped with a hamburger patty, a fried egg and brown gravy. 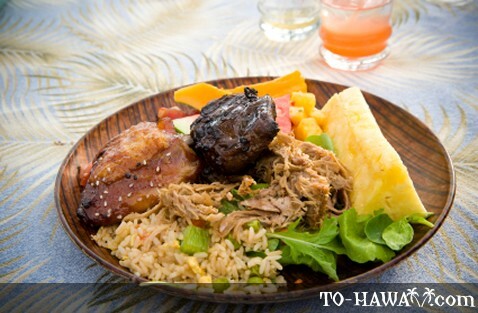 Variations of the dish include Japanese style konkatsu or kalua pig and beef. Another very popular meat in Hawaii is Spam (short for spiced ham), a canned precooked meat product produced by Hormel Foods. 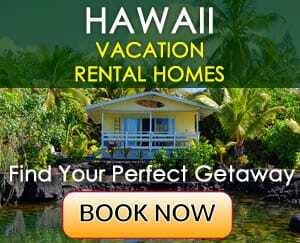 Even though Spam is available throughout the United States as well as in over 40 foreign countries, Hawaii residents consume the most Spam per capita in the United States. Spam is so popular in Hawaii that it is sometimes referred to as "The Hawaiian Steak.” It is an ingredient in a variety of dishes. A popular one that's available at many convenience stores in Hawaii (wrapped and ready to eat) is Spam musubi, a combination of a slice of fried Spam placed on a cube of rice, wrapped with a strip of nori seaweed. Other dishes feature Spam with fried eggs and rice, in sandwiches with mayonnaise, baked with guava jelly, baked with macaroni and cheese, or stir-fried with cabbage. 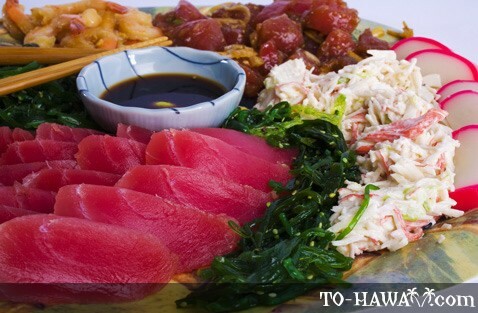 In Hawaii, teriyaki is one of the most popular ways of flavoring meats, including Spam. In 1992, a new culinary movement began in Hawaii that promoted the use of locally grown foods instead of produce imported from elsewhere. 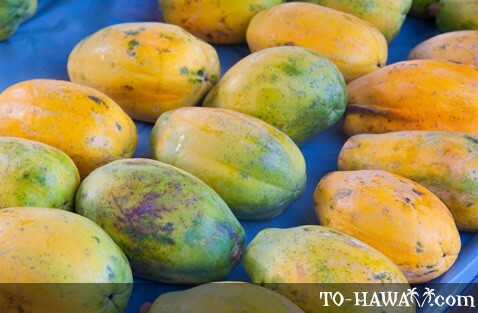 Twelve Hawaii chefs came together to form an organization to create the Hawaii Regional Cuisine, which put emphasis on locally grown ingredients to be used in restaurants. Their goal was to link local agriculture with the restaurant industry. 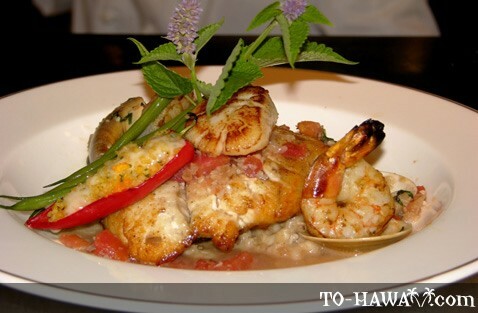 Today, the cuisine of Hawaii remains a fusion of foods and flavors brought to the Islands from around the world.